Have you ever had windshield wipers that didn’t get the job done? How about ones that smudged up your windows instead of really cleaning them? Or ones that make squeaky noises when moving across the glass? With the Bosch 28-CA Clear Advantage Beam Wiper Blade – 28″, this will be a problem no longer. These wiper blades are designed to be useful in all kinds of weather, may it be continuous rainfall, strong winds or heavy snow. You will no longer have to squint to see the world outside your car. The Bosch 28-CA Clear Advantage Beam Wiper Blade – 28″ is a wiper blade that has been specially made for it to withstand all types of weather. These are the blades to look for if you live in a place with consistently heavy rainfall or snow. The wipers come with a precision-tensioned steel spring, which allows for even pressure to be applied all throughout the length of the blade. This provides uniform wiping across the whole area of the windshield. Another feature these wiper blades come with is the aerodynamic wind spoilers, which prevent the blades from ‘lifting off’ due to heavy rainfall or strong winds. The natural rubber wiping edge of the blade, which has been treated with graphite, allows for smooth, easy and noiseless operation. The Bosch 28-CA Clear Advantage Beam Wiper Blade – 28″ is also easy to install right onto virtually any car, thanks to the pre-mounted multi adaptor feature. One thing that users instantly enjoyed about the Bosch 28-CA Clear Advantage Beam Wiper Blade – 28″ was how easy to install the blades were. The heavy duty plastic build of the blades have been commended as well, for this prevents rusting which sometimes occurs in places of high sea air concentration. The wipers fit well and seem to hug the windshield in exactly the right places. The blades wipe the glass clean, leaving no streaks behind in its wake. The tensioned spring keeps the blade firm against the windshield. The beam design has fewer parts that could fail or need replacing. Some users have been left less than satisfied with their Bosch 28-CA Clear Advantage Beam Wiper Blade – 28″, saying that the blades seems to have slightly less tension across the windshield when compared to other wipers. Overall, it can be said that a large majority of the people who have reviewed these blades are more than happy with the device’s performance. The wiper blades have been commended for working well, working quickly and working quietly. The plastic build of the blades have been praised, for it makes the wipers lighter and rust-proof. The Bosch blades are curved and literally hug the windshield. Most customers found replacing the wipers was pretty easy. You may need to consult the instructions as different manufacturers have different ways of releasing the wipers from the hook, but basically takes less then a minute to remove the old and snap a new one. The Bosch 28-CA Clear Advantage Beam Wiper Blade has been reviewed by 2536 customers on Amazon and has been given a impressive customer score of 3.7 out of 5.0. Click here for the latest verified reviews and deals on Amazon. All in all, it can be concluded that the Bosch 28-CA Clear Advantage Beam Wiper Blade – 28″ is a practical buy for anybody looking for a good pair of windshield wipers. 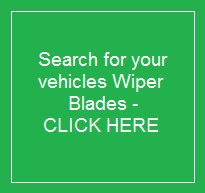 The blades are particularly recommended to people leaving near the sea (for the blades do not rust like other wiper blades) and to people living in places where rain and snow is regular. This entry was posted in Bosch Wiper Blade and tagged Bosch 28-CA, Bosch 28-CA Clear Advantage Beam Wiper Blade, Bosch 28-CA Wiper Blade, Bosch Wiper Blade. Bookmark the permalink.